Dallas Has Now Lost 82 Cases Against Robert Groden. Someone Call Guinness. After reading this volume, the only apparent betrayal will be to the consumer who plunks down $25.00 for this mess, complains Bill Davy. DPD: the most corrupt Police department in the USA? At the end of his review of JFK and the Unspeakable, DiEugenio wrote that Jim Douglass’ book was the best in the field since Gerald McKnight’s. The author’s own book has a dual distinction. 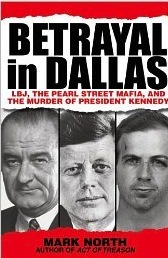 It is the best book on Garrison yet written, and it is the best work on the JFK case since the Douglass book, writes Albert Rossi. Larry Hancock explores the possible use of the Dallas private airfield for covert goverment operations during the period around JFK's assassination. From Hugh Aynesworth, to Gary Mack and the Sixth Floor, to Rawlings and Belo, one can clearly see how the Power Elite in Dallas plan on putting a lid on the 50th anniversary of John F. Kennedy’s death, writes Jim DiEugenio. A year and a half in advance, Dallas Observer reporter Jim Schutze calls for the city of Dallas to allow Dealey Plaza to be center-stage in the history of the nation for one shining moment on November 22, 2013 (something completely contrary to what actually ended up taking place). In a communication with CTKA, Groden discussed a posted story about a crackdown on JFK vendors in Dealey Plaza. He says he was arrested because of a complaint by the Sixth Floor Museum transferred to the Dallas Police.